Once you calculate in the tourist-attracting power, it’s easy to argue that winemaking is Santa Barbara County’s most important industry. So in 2011, The Independent will be shining a brighter light on the people and places that make the business go ’round than ever before, both in the printed paper and every week at independent.com/wine. Here’s just a fraction of what we’ll be offering in the months to come. 2008 Star Lane Sauvignon Blanc ($20): Though the tasting was blind, we knew to expect a Star Lane in the lineup, which meant we were ready for remarkable. This certainly didn’t let us down, as tasters noted the wine’s precision, complimenting its grapefruit essence, its bright, sharp acidity, and yet its illusion of softness on the palate. 2009 Château de Jau “Jaja de Jau” Sauvignon Blanc ($10): Explaining this bottle’s funny name actually introduces its contents nicely: France’s Roussillon region slangily uses the word “jaja” to refer to its more casual, everyday wines. This fit that bill, with summer fruit flavors like bananas and peaches, making it well worth its price tag. 2008 Bargetto Winery Pinot Noir Santa Cruz Mountains ($25): Since we haven’t sampled much from Santa Cruz yet, Bargetto’s pinots had us all intrigued. Not only that, but Bargetto’s been fermenting grapes for 75-plus years and runs on biodiesel and solar power. We found this wine light and rich with hints of black cherries, although slightly over-oaked; but we deemed it a good “entry-level” pinot noir. 2008 Bargetto Winery Pinot Noir Santa Cruz Mountains Reserve ($40): Because the reserve spends an additional five months in barrels compared to Bargetto’s other pinot, we were nervous that the oak on this one would be overkill. But the quality fruit used to create the reserve clearly can withstand so much time in barrel, so we happily found more character, tannin, and a better food companion. 2006 Star Lane Cabernet Sauvignon ($42): Hailing from Bordeaux varietal-friendly Happy Canyon, this cab (with 18 percent cabernet franc, 3 percent petit verdot, and one percent malbec) had us smitten upon first sip. Tasting notes ran wild, with descriptions like wet stones, violets, and mocha to comments praising its rich, balanced headiness. 2008 Liberty School Cabernet Sauvignon ($14): The ultra-low cost of this wine makes it hard to disagree with — after all, drinking wine is supposed to be a low-stress activity and a hefty price tag can certainly make many of us sweat. With that in mind, we enjoyed Liberty School’s contribution to our tasting, noting its mellower body and flavors like eucalyptus, licorice, cherry, and spice cake. 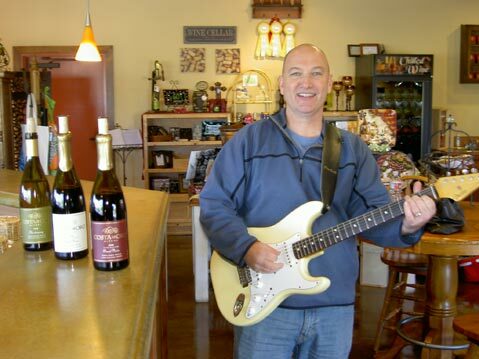 “Music and wine are both universal languages,” says Gary Burk, the accomplished guitarist, former record label employee, and owner of Costa de Oro Winery. “They speak to people on an emotional level — no translation necessary.” Burk finds many parallels between playing music and crafting dynamic wines — primarily, trusting the intuitive rhythms of the creative process. After graduating from Cal Poly and working as a royalty accountant for the music biz, Burk worked from 1994 to 2002 for Au Bon Climat’s Jim Clendenen after returning to the Santa Maria Valley, where his family has farmed broccoli, spinach, and cilantro since the 1970s, as well as pinot noir and chardonnay since 1989. He broke out on his own to found Costa de Oro (the tasting room is located right off Highway 101 in Santa Maria) with 2,500 cases in 2002, and now makes about 6,500 cases annually. Favorite food and wine pairing? Homemade fig and blue cheese flatbread with our sauvignon blanc is heaven. We also made an amazing boeuf bourguignon once with a barrel sample of syrah and paired it with our ’06 pinot noir. Music in the cellar? We like to play music that brings harmony to the wine we’re working with: anything from Jack Johnson to Metallica. Last harvest we played the Beatles, lots of Led Zeppelin, Vampire Weekend, and Kings of Leon. Toughest part of harvest? Finding time to sleep. And cleaning. Oh yeah, and staying dry. We’re literally soaked for three months straight. What under-$15 wines do you enjoy? Chinons and Savennières from the Loire and tasting-room deals from friends. Most important piece of equipment? Our taste buds, of course, and a stainless steel sump that we pretty much use for everything. Best part of your job? Making great connections with new people. We love to see the looks we get when we taste through the wines and then ask, “Do you want to try something from the barrels?” An hour later, these complete strangers are ambassadors for our wine and our story. 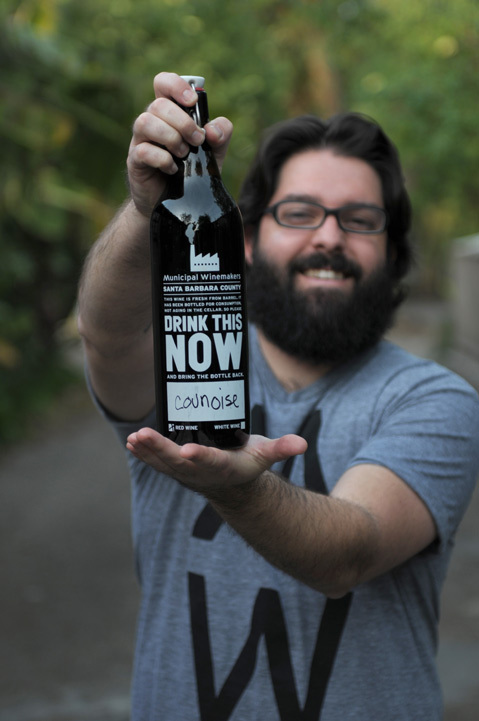 While most winemakers struggle to keep wine from completely taking over their lives during the demanding months of harvest, John Falcone frets more about anything that may distract him from it. With his wife, Helen, his primary business partner, it’s easy for the two — who make wine for Rusack and their own Falcone label — to keep their hearts in the winery and vineyards. Most of us learn how to behave in restaurants, airports, and dozens of other public spaces at such a young age that, by the time we’re grown up, we know how to properly patronize them on autopilot. Wine tasting rooms, on the other hand, are approached by many with ambivalence and uncertainty, without parental guidance or a clue to social protocol. Take our tips. 1) Know the purpose of tasting rooms: They are vessels to sell you bottles of wine, not party venues. Once upon a time tasting was free, the same way test-driving a vehicle at a car dealership is free, but now they charge because it’s become a social pastime. 2) Tasting rooms are not wine bars: Do not ask for a glass of wine unless the tasting room overtly offers it, which means it has acquired the same special licenses that bars possess in order to serve alcohol by the glass. 3) Learn to spit: Getting a buzz is part of the fun, but tasting at several wineries will inevitably take you from dapper to disheveled no matter how well you hold your booze. And while spitting may seem utterly counterintuitive while attempting to demonstrate personal classiness and respect for the wine, you’ll accomplish both by doing so. 4) Sacrifice beauty: Ditch the cologne and lipstick when you go taste. 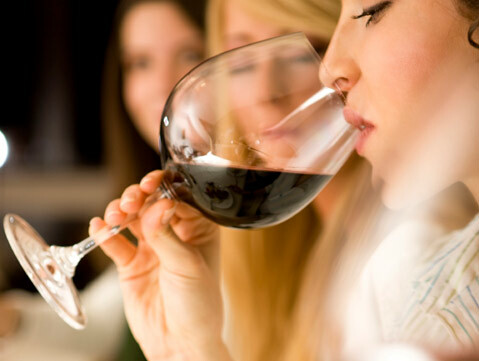 Everyone is more interested in smelling the wine than you, and lipstick refuses to come off of wine glasses. 5) If in doubt, make a reservation: Some tasting rooms could comfortably accommodate a herd of elephants, but others are more like walk-in closets. Groups of more than four tasters are polite to call ahead of time. Vineyard Worker Benefit Dinner: Third annual gourmet six-course dinner by Chef Jina Bae of A-RU Japanese Restaurant in Buellton, paired with specially produced local wines, to benefit the services provided to the county’s vineyard workers by the nonprofit organization Santa Ynez Valley People Helping People. A-RU, 225 McMurray Road, March 13, 5 p.m., $125 total. Call 686-9001 or see syvphp.org. Vintners’ Festival Weekend: The best place to check out what’s new and great about our wines, as every one of the more than 130 members of the Santa Barbara County Vintners’ Association must show up to pour at the main event. Great food and weekend tasting-room deals, too. 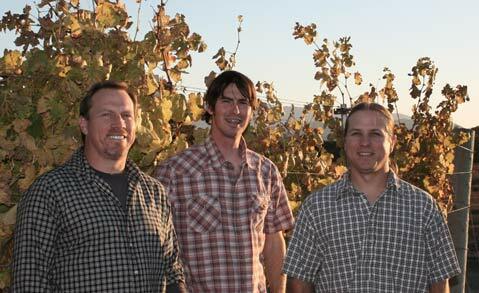 River Park, Lompoc, April 16, 1-4 p.m., $75, plus dinners and tastings elsewhere, April 15-18. See sbcountywines.com. EMAIL: If you’d like to learn more about our wine club, find out how your winery could be tasted and profiled, or just want to say hi, email wine@independent.com. 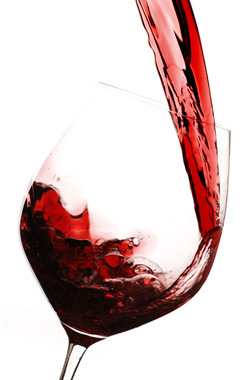 WEB SITE: For future wine stories, bookmark independent.com/wine today.